What Are Computer Networking Tools? 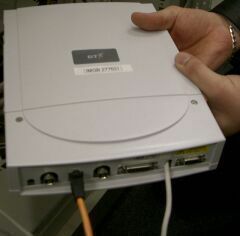 A computer networking tool is any type of software that assists in the creation, maintenance, or distribution of a wireless network. 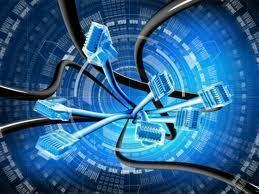 Also, computer networking tools aid in a website’s creation, maintenance, advertising, security, and modification. They are responsible for the maintenance of local area networks, especially in situations that involve dozens or hundreds of computers within the same network. Computer networking tools are used for both domestic and commercial purposes and are available on sale or for free. Every software listed in this article is a free computer networking tool that anyone can use for any purpose. PortableStorage Explorer is a program that allows users to view and access portable devices that are connected to remote computers within a specific local area or wireless network. It accesses USB drives, CD-ROMs, DVD-ROMs, serial numbers, device name, device type, vendor and product names, each portable device library, and determines the last time each device was cleaned. PortableStorage Explorer is a 444 KB file and can run on Windows NT, 2000, XP, and 2003. IE Asterisk Password Uncover is a program that allows users to uncover passwords that asterisks in Internet Explorer web forms mask and those stored on the user’s computer. IE Asterisk Password Uncover mostly uncovers forgotten passwords. However, it also uncovers other users’ passwords on the computer in question. IE Asterisk Password Uncover is a 486 KB file and works with Windows NT, 2000, XP, and 2003. FreeWebLink Submitter is a program that allows users to submit information about a specific website to search engines and directories. It includes easy-to-use options for submitting URLs, keywords, content samples, or other data to popular search engines such as Google, Yahoo, and Bing, as well as web directories such as Digg. FreeWebLink Submitter is a 447 KB file that runs on Windows NT, 2000, XP, and 2003. Exec is a program that allows the user to access and schedule programs, applications, and events at a specific time in the near future on a remote computer. NetTaskExec works with both local area and wireless networks and executes commands. NetTaskExec is a 441 KB file and runs on Windows NT, 2000, XP, and 2003. 464 queries in 0.498 seconds.